− Gustave Flaubert, a French Novelist. Tourism is a dynamic field. It varies on the number of factors related to the tourists; the country of destination, the market from which the tourists emerge, and market of the destination. The tourism managers and researchers study a lot about tourists’ motivations and cultures, their changing behavior, and the driving and affecting factors of tourism. They also study the destinations investigating the amenities and attractions they provide or any prospective ways to attract the tourists. The tourism businesses can figure out the demand of tourism in a particular area, by identifying the types of various tourists, their behaviors, and create right offerings for the right market. Let us see, the types of tourists and how tourist behavior varies with respect to various factors. Intrinsic Tourists − They are into holidaying for the sake of enjoyment. Extrinsic Tourists − They have reward oriented motivation. These tourists are susceptible to the activities where performance is evaluated. Adventurers − They give very little importance to relaxation. They are always up to exploring places and taking challenges. Mainly youths and singles from both genders carrying zest of life largely contribute to this type of tourism. Budget Travelers − They are economy-oriented tourists. Their touring decisions about places, travelling mode, and other related factors are largely dependent on their financial status. Homebodies − They are mainly relaxed tourists. They do not get into adventure. The tourists aged above 45 to 50 years belong to this type. The busy professionals under 45 years also belong to this type. Moderates − They plan their tour ahead, have a high inclination towards tourism but they do not get into sports or adventure activities. 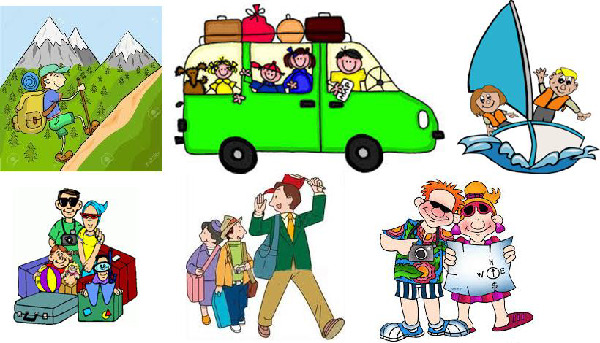 Vacationers − They plan touring during vacations such as summer break or Christmas break. They are not always sure of where and why they wish to visit.